The QPER Handover Tester provides engineers with a platform to test all relevant signal strength effects on the radio channel. The QPER hardware interconnects base stations or (e)NodeBs with test UEs by digitally controllable attenuators. RF signals are transmitted through coaxial cables. 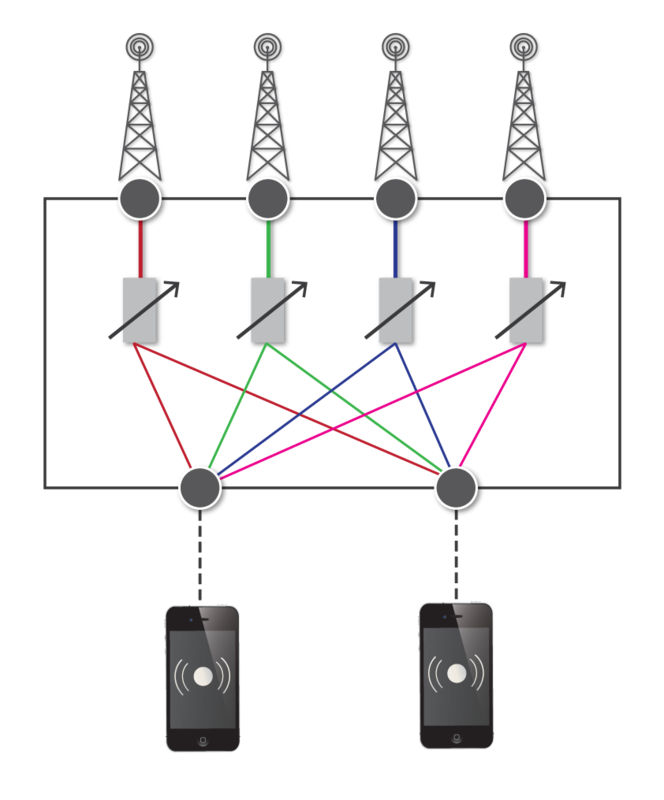 Each signal path can be attenuated individually in steps of 1 dB. The system dimension is very flexible: it can be selected between variants with 1 to 16 ports on both sides. The unique advantage of QPER is its virtual drive test software control, a very intuitive and real-life like method to outline network layout and a drive test route on the screen. This allows testers to model all propagation effects relevant for signal strength, such as path loss, signal drops caused by fast-fading or shadowing. These features enable engineers to emulate handover scenarios to verify network set-ups and test UE performance and interoperability with network components. 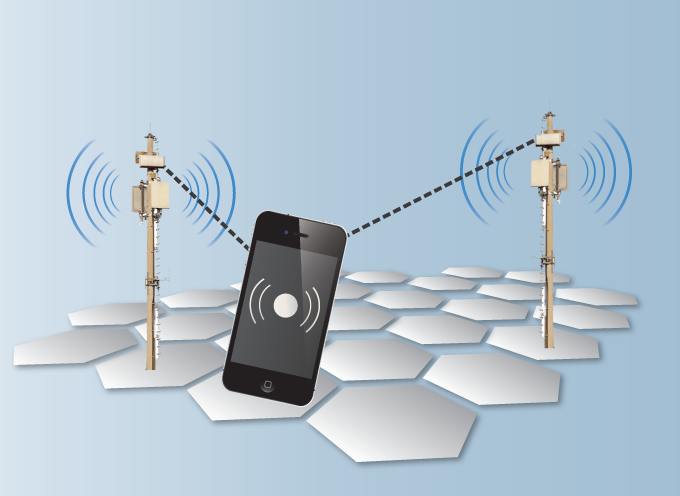 Signal strength information can alternatively also be extracted from previously recorded drive tests. QPER supports the import of drive test data from various drive testers, such as Anite NEMO or Rohde & Schwarz ROMES drive tester. With this application, drive tests can be exactly repeated on the attenuator matrix and network conditions causing failure become reproducible in the lab. 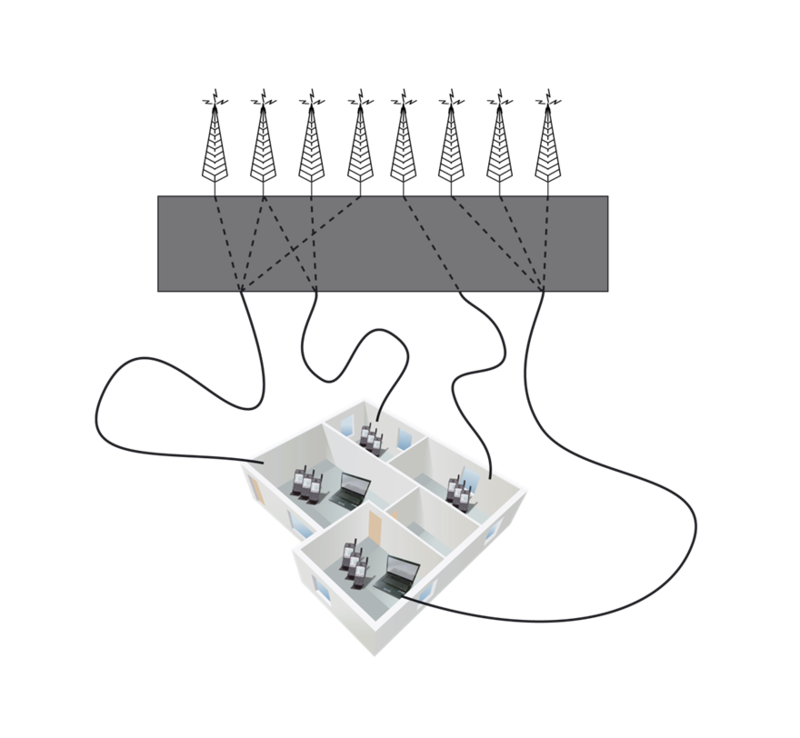 By forcing networks to induce handovers automatically and unattended over a long duration, the QPER Handover Tester is perfectly suited to verify the algorithms of self-organising networks (SON). 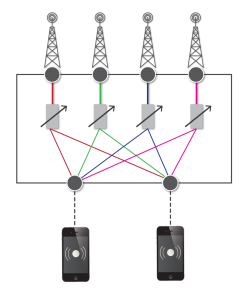 This utilization may further refined by combining QPER with LTS Mobile Network Tester, where call genaration with real UEs can be automated and synchronized with the mobility simulation. To simulate MIMO-effects an extension is availabe: the QPER MIMO-Tester. In a reduced variant, QPER can also be used as an electronic RF switch to supply test signals to various test rooms within a test lab. A multi-user concept gives every tester an easy overview about the resources in use. There is no need for a manual patch panel, any fixed value attenuators and RF combiners. Thus, QPER helps lab administrators to manage the lab resources and users. Hinweis: Sie können Ihre Einwilligung jederzeit für die Zukunft per E-Mail an info@qosmotec.com widerrufen.